Why we love it: Skip the chapped lips! 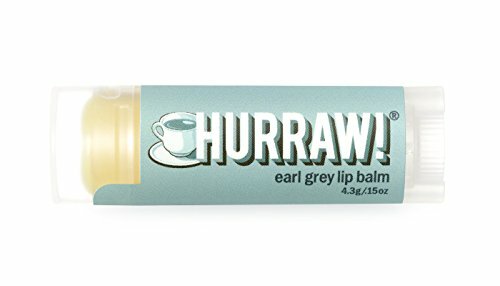 Fend off over-dried and flaky lips with this vegan lip balm from Hurraw! Sweet Almond, Jojoba and Castor Seed oil deliver lasting protection and hydration to lips that are in need of repair. Featuring cold pressed oil from Italian Bergamot Oranges, this balm leaves the subtle scent of a cup of Earl Grey. Apply directly to lips as needed.